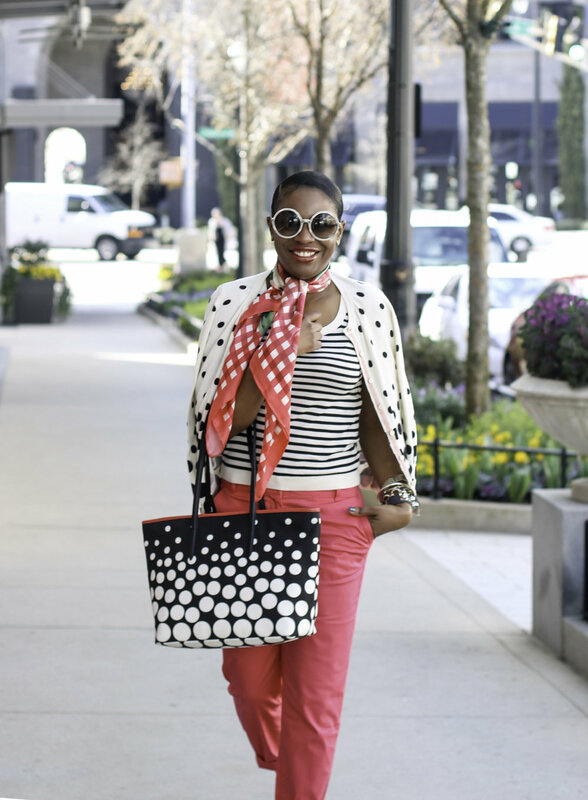 DOTS, STRIPES, SPRING AND THE BEST OF ME! 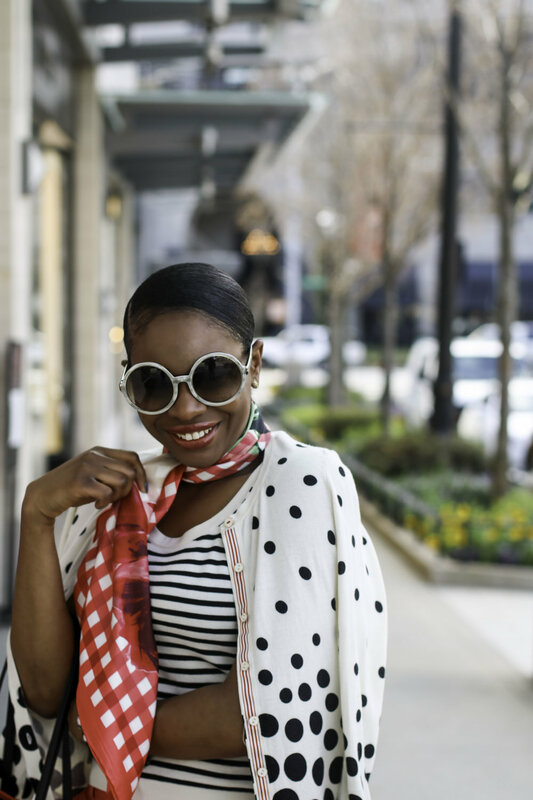 Hey Style Lovers, Happy Wednesday! 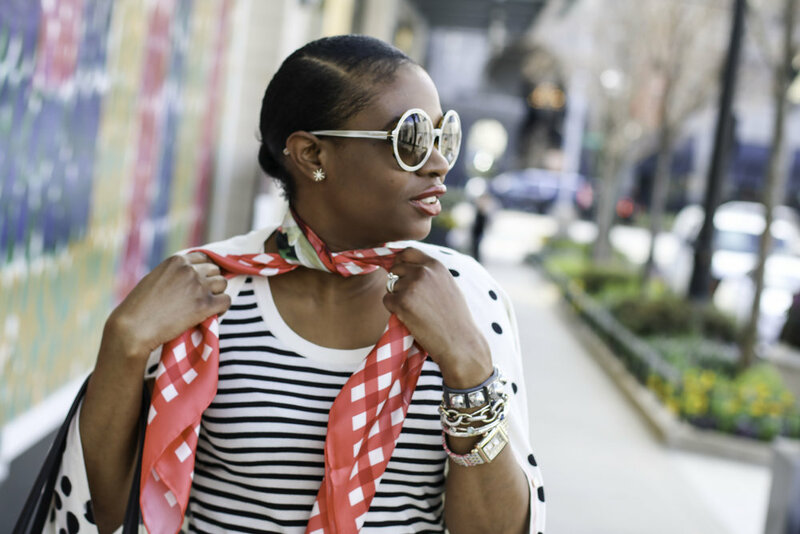 Today’s outfit post is all about inspiring women through colorful spring fashion. 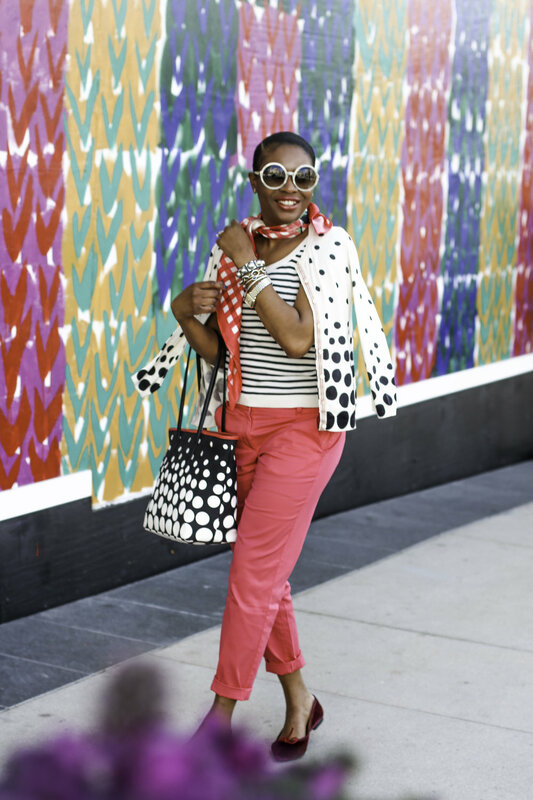 I have teamed up with Talbots to create this fabulous outfit from the TalbotsxOMag. 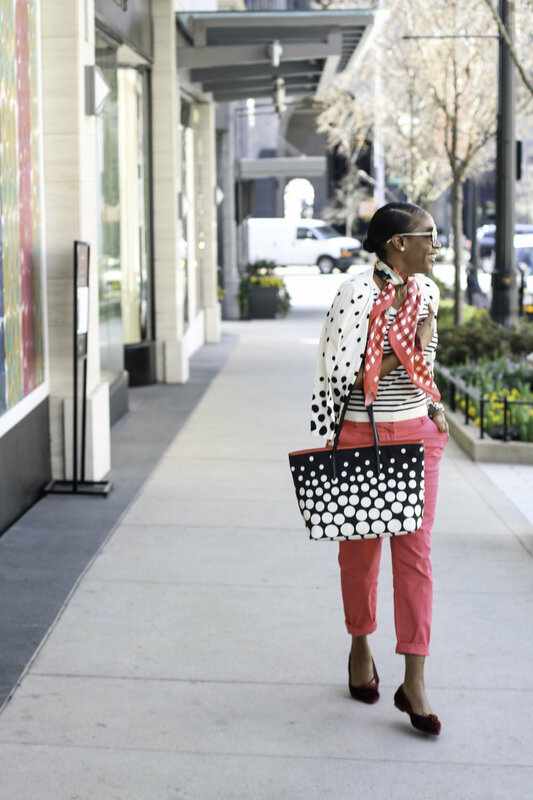 Talbots, and Oprah Magazine have joined forces again to create this limited edition capsule collection to mix and match with your spring wardrobe. 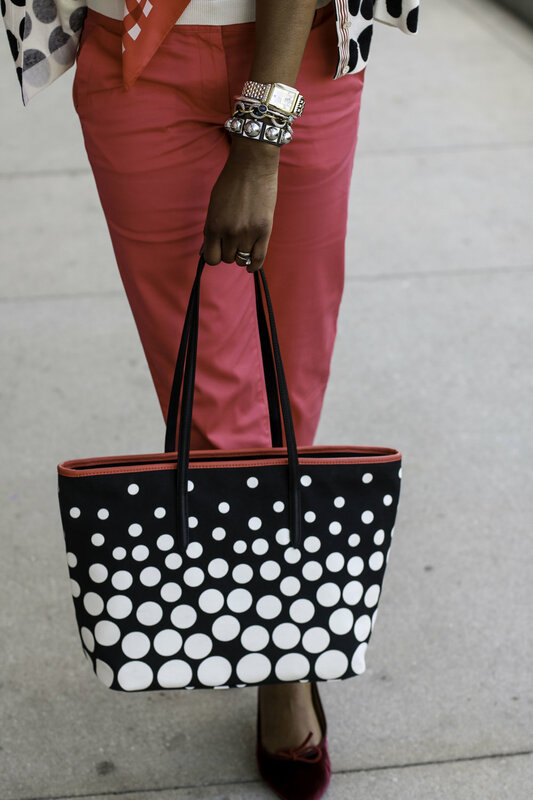 And with 30% of net proceeds directly benefiting @DressforSuccess, doing good and looking good go hand-in-hand. Last year @TalbotsOfficial helped 20,000 women, together we can help even more! 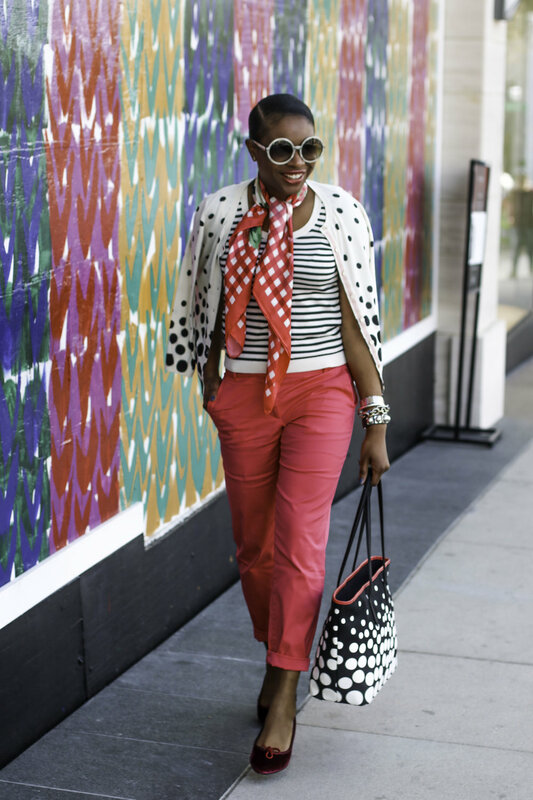 With the exception of my sunglasses, shoes and pants, my entire outfit is from the TalbotsxOMag collection. I love the dots, and stripes of the sweater set. It’s fun, and perfect for spring. 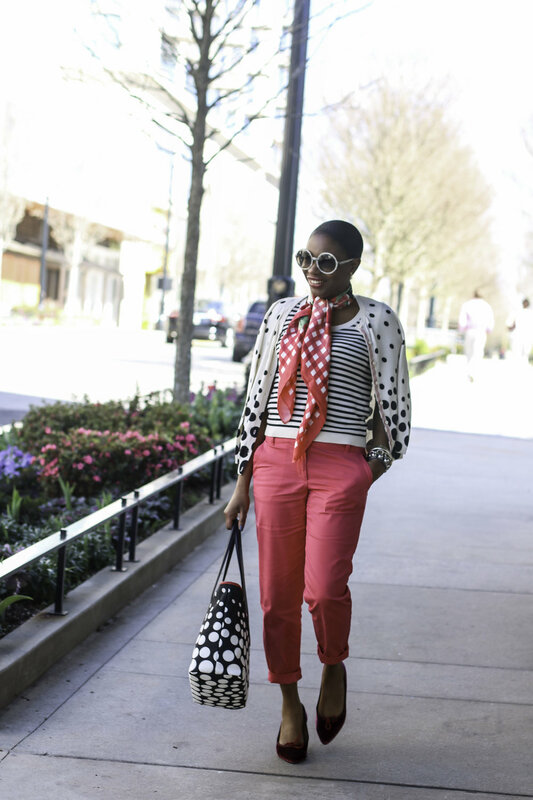 The silk scarf and dotted bag compliment the sweater-set and add just the right amount of color to make this look pop! I complimented these key pieces with my pink crop pants, and flats, both do a great job of highlighting the pink in the look. 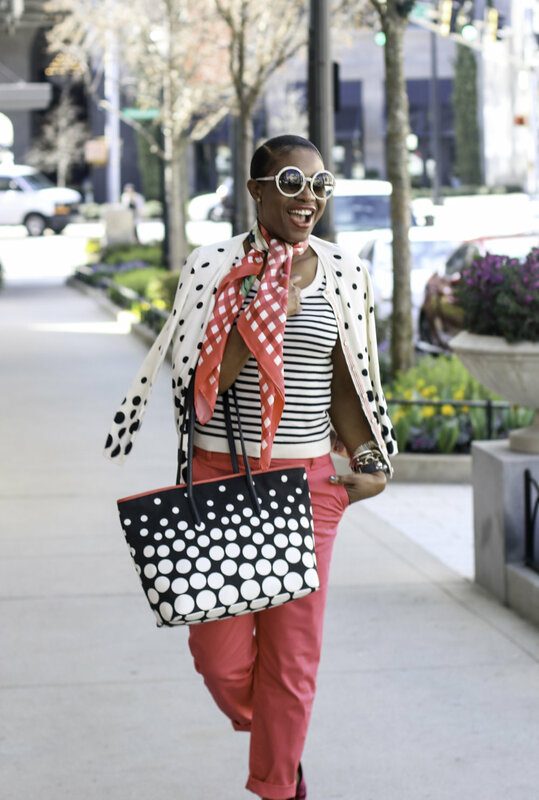 Lastly a pair of round sunglasses pair perfectly with the entire outfit, and compliment the dotted theme of the outfit. !on’t forget to use the links to shop the post and have an awesome Wednesday my lovelies.